Plasmas and electric fields can be implemented to initiate and accelerate combustion in engines and turbines, increasing overall efficiency. Our experimental studies on laboratory scale combustors aim to improve the understanding of the involved phenomenon and optimize those processes. Figure 1. 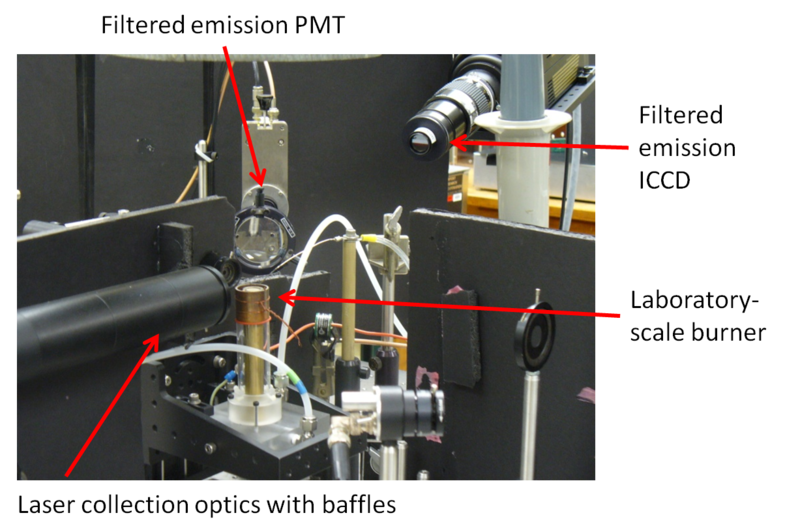 Typical laboratory arrangement of laser-based diagnostics around a premixed, hydrocarbon burner for plasma or electric field combustion studies.